Manufacturer of a wide range of products which include ezray air portable x-ray, opg machine, dental chair, carestream (kodak) dental x-ray machine, carestream (kodak) digital imaging plate system and ezsensor classic. Save cost & stay efficient. As safe as Your X-Ray Room. Surprising Only 1.5 Kg Light Weight. World's First Nano Technology-CNT Tube. Protects Operator's Arm and Spine from pain. 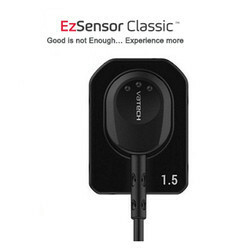 0.4 mm Focal Spot: High Quality Ensured. Scan Time "Pano HD 13.5 sec / Normal 10.1 sec Ceph Scan 12.9 sec / One-Shot 0.9 sec"
The unit provides accurate tomographic Cross-Sectional information for Diagnosis, Implant planning follow-up of implants other than accurate measurement of Dimension of Lesions Planning of surgical procedures. Complementing the Panorama image and provides a Tomographic image required for precise implant planning. When planning the implant, CUST image helps the understanding of Jaw structures with the sectional image provided. 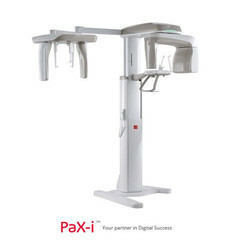 PAPAYA Panorama is economical compared to expensive CBCT. Product Description Comprehending the varied desires of our clients, we are instrumental in presenting a comprehensive range of Adec-400 Dental Chair. 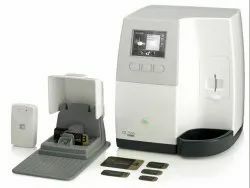 A-dec 400, a thoughtful approach to dental system design. 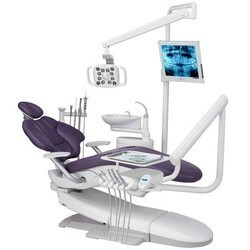 Instead of sacrificing ergonomic access to the oral cavity for patient comfort, get both with the A-dec 400 dental chair.And when you add robust construction, contemporary styling, and left/right versatility, you gain a system that is the best long-term value available on the market. Under precious guidance of our skilled professionals, we are offering a distinguished assortment of Care Stream Dental X-Ray Machine. The offered range is broadly acknowledged in the market, owing to its quality assurance, resistant to corrosion and efficient functionality. This is manufactured using premium quality components and cutting edge technology as per set industry norms. Moreover, clients can avail the offered range from us at market leading prices. 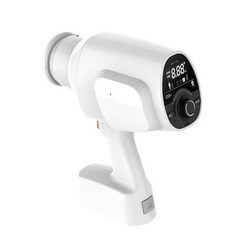 Product Description We are offering a vast collection of Care Stream Dry View Chroma Imaging System to our valuable clients that is widely demanded in both domestic as well as international market for its unique features. To stand this product perfect on international quality standards, it is tested by our quality controllers based on varied quality aspects with the help of latest tools and technology. 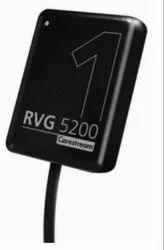 Moreover, clients can avail this product from us at market leading prices. Our offered range of ENT Machines is made of high graded raw materials at the vendors’ site. We procure these machines from reliable vendors in the market which are designed according to the international quality & medical standards. These ENT units find wide applications over various health care units. Mattress are divided into three sections made up of CRCA Pipes with wooden laminated top. Corner PU buffers absorb impact and reduce damage in handling. Provided with heavy duty saline stand Castors of 125 mm dia. 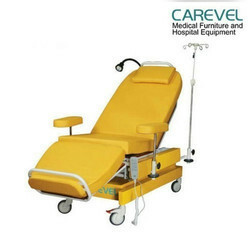 With diagonal locking mechanism for mobility with control Back Rest, Leg rest, High – low maneuverable by separate actuator operated by separate patient control Large Stable base Chair back fully reclines to the horizontal position. Chair/recliner two large manually adjustable arm rests allow full mobility of the chair Dialysis chair is secured balanced in all operational positions The complete metal components are 7 tank pre treated and epoxy powder coated. 3Shape is changing dentistry together with dental professionals across the world by developing innovations that provide superior dental care for patients. Our portfolio of 3D scanners and CAD/CAM software solutions for the dental industry includes the multiple award-winning 3Shape TRIOS® intraoral scanner, the upcoming 3Shape X1 CBCT scanner, and market leading scanning and design software solutions for dental labs. 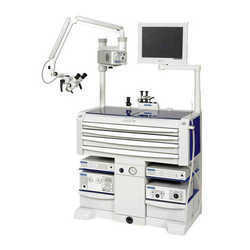 Looking for Dental & ENT Equipment ?